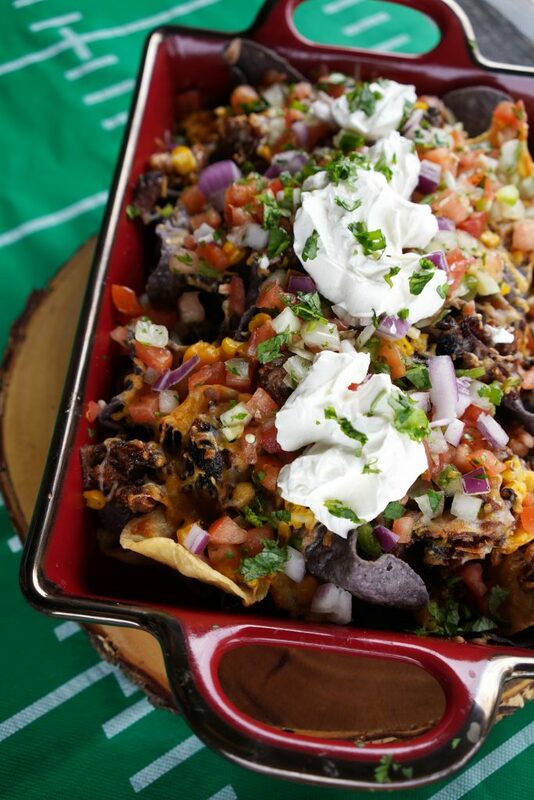 Crunchy tri-color tortilla chips piled high with melt-in-your-mouth chopped brisket, fresh Pico de Gallo, and layered with Sonny’s BBQ Sauce. Before diggin’ in, be sure to snap a photo of your BBQ Brisket Nachos and share it with us on social media with the hashtag #SonnysBBQ. Chop the brisket and toss with Sonny’s Sweet or Sizzlin’ BBQ Sauce. 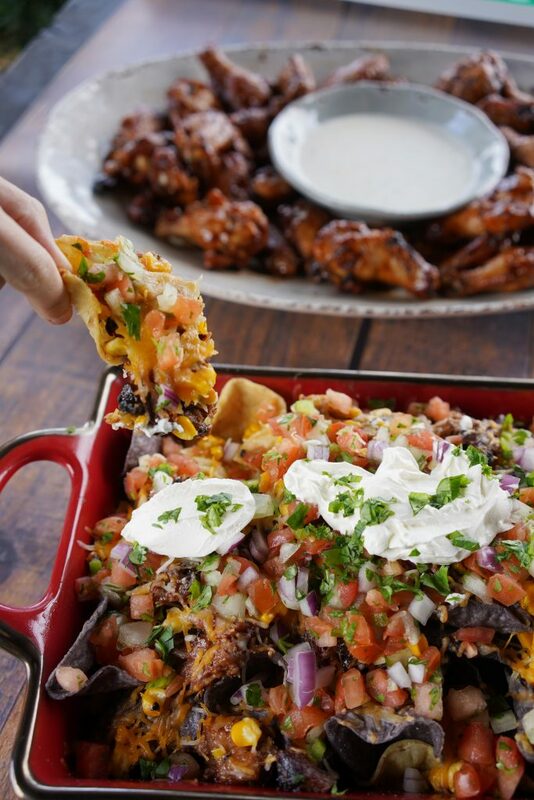 Spread tortilla chips out on a baking dish and drizzle the chips with more BBQ Sauce. Top with brisket, corn, and both cheeses. Place in oven until cheese is melted (5-10 minutes). Once the cheese is melted, top with red onion, pico de gallo, cilantro, and sour cream.